A small Bed and Breakfast in Cape Town for birdwatchers. I stayed here for 3 days in March 2018. Avian Leisure is a small home apartment based accommodation in the hills above Simons Town, just out of Cape Town. There are two lots of rooms; the slightly more expensive one has two bedrooms and views of the ocean from a large veranda. The other one is a single bedroom (still very large!) with side access to the pretty gardens and the sea views from a park bench. 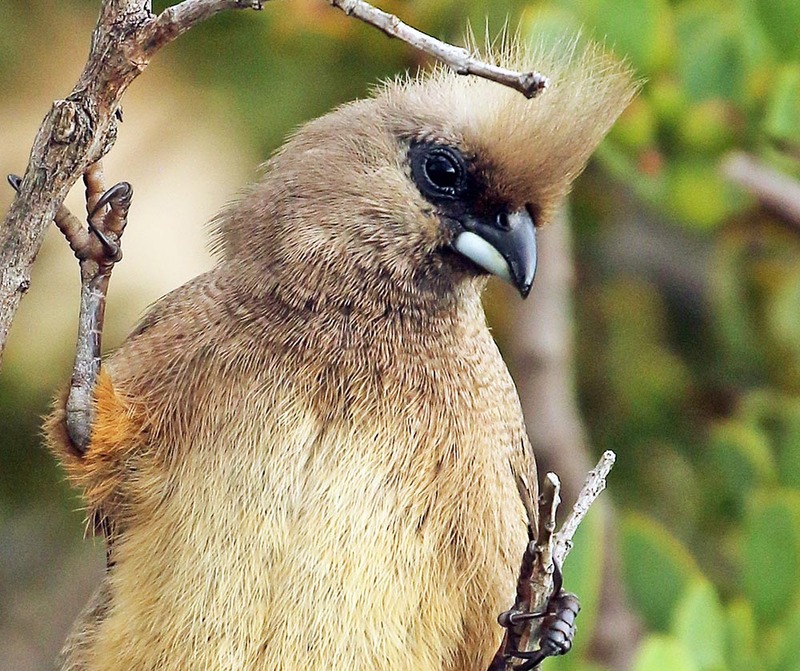 One of the best bird viewings are the mobs of Cape Sugarbirds, a species endemic to southern South Africa. In fact, this is a family that is endemic to southern Africa. These sort of look like a giant long-tailed sunbird, however, when they are seen side by side, they are much bigger. 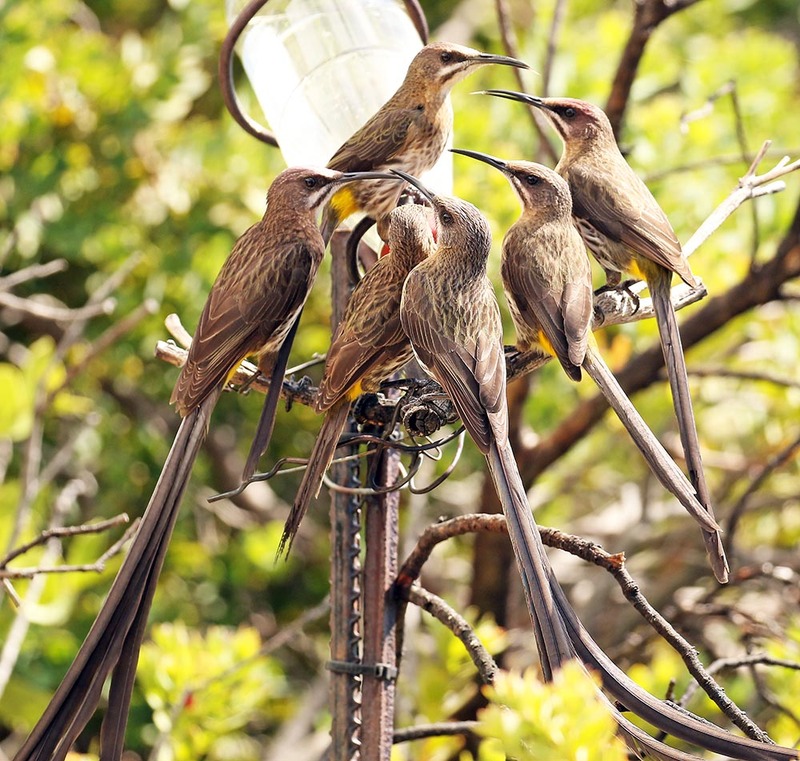 They look more like a Australasian honeyeater, and were indeed put in this group a long time ago. However, it has since been established they belong to neither family, and are in their very own family and not related to any of the previous. is a crowd of sugarbirds called a bowl? Because are there so many sugarbirds here, there is plenty of chance to watch their behaviours, including their competition and their amazing flights with their long floppy tails. Another highlight is to get great views of Porcupine. These creatures are much bigger than people assume, larger than the equivalents such as Eurasian/American hedgehog and Australasian echidnas. 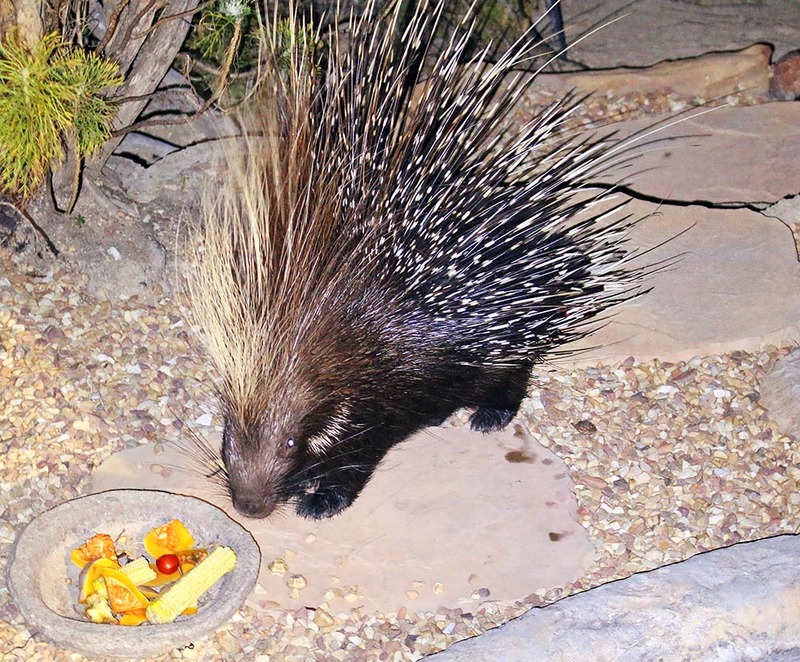 The owners put out a bowl of vegetables at dusk, and throughout the first half of the night a large spiny fellow waddles up out of the bush (where the hell does he sleep?) and grabs one or two pieces at a time, waddles back in the bush to munch on it. With a decent flash you should be able to get some good shots as he passes just a few metres away. It is best to rent a car, and then you can avoid organising transfers and have freedom to come and go as you please. If you don't have a car, which I did not at the time, then transfers can be organised from 40 to 70 US dollars with various local operators. You will also have to walk up and down a very steep hill to get dining and shopping options, but it is a pleasant walk through urban areas with nice flowers and birds.